Lock in a great price for Veneza Hotel – rated 8.7 by recent guests! Good comfortable room. Very nice café just across the road. Nice old hotel with character. Near train station but quiet! I would not recommend this hotel. The photos do not represent the hotel; in fact I am wondering where these pictures were taken. The hotel is in a rundown area of the city and our view was of the back of an apartment building and a chicken coop. The staff is not very friendly or helpful. This hotel is unappealing in appearance and our room was mediocre. Within walking distance of train station. Liked the hotel and the room. The hotel was fine, nothing spectacular, just fine. The availability of a locked parking area for an incredibly reasonable 3 euros per day was wonderful. Breakfast was OK. And the overall value was very good. Fantastic staff, great location, and a bonus - safe private parking for around $5 per night. Would highly recommend this place for a stay. Only a few steps from the train station. City center is about 10 min walk, which is not a problem for us. Staff were pleasant and helpful. Veneza Hotel This rating is a reflection of how the property compares to the industry standard when it comes to price, facilities and services available. It's based on a self-evaluation by the property. Use this rating to help choose your stay! 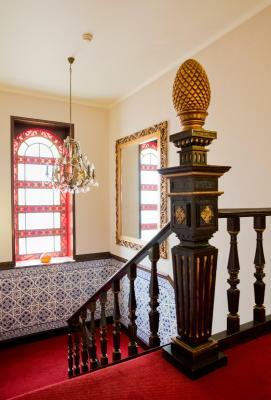 One of our top picks in Aveiro.Located in the center of Aveiro, this 1930s townhouse is home to the 3-star Veneza Hotel. It offers spacious rooms with modern amenities such as LCD TVs and luxury bedding. The Veneza has 49 spacious and neatly presented guest rooms, all with private bathrooms and air-conditioning. Other features include cable TV and free soap and shampoo products. Guests can enjoy the hotel's buffet breakfast each morning, choosing from a wide selection of freshly prepared food. The hotel also has its own bar. 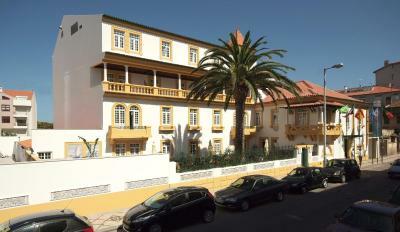 The Veneza Hotel is only 350 feet from Aveiro Train Station. 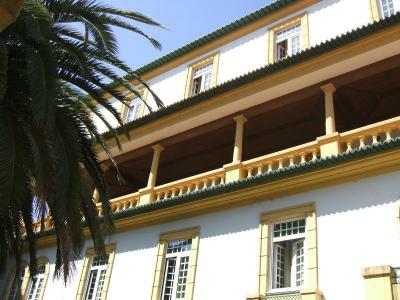 The Fórum Shopping Center, University and the Cultural Center are all just a short walk away. The nearest beach is only 4.3 mi away. Porto's Francisco Sá Carneiro International Airport is 53 mi from the Veneza. When would you like to stay at Veneza Hotel? This air-conditioned room comes with a flat-screen cable TV and a mini-bar. Each room has a private bathroom with a hairdryer and free toiletries. Please note that the 1st extra bed is free of charge and upon request. Adding a second extra bed is upon availability and has an extra cost of EUR 24, per person. With 3 single beds, this triple room has air conditioning, mini-bar and a sofa. House Rules Veneza Hotel takes special requests – add in the next step! Veneza Hotel accepts these cards and reserves the right to temporarily hold an amount prior to arrival. Great size triple rooms, we had motorbike kit and still plenty of room. The hotel has this resort feel. 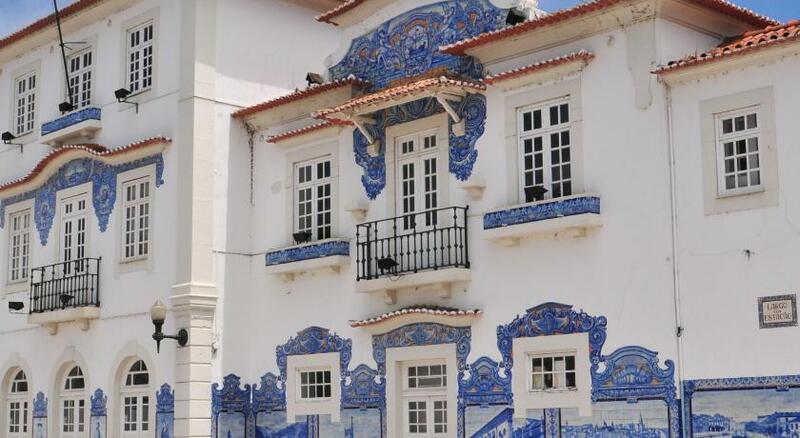 We have booked it on a spontaneous trip to Aveiro. 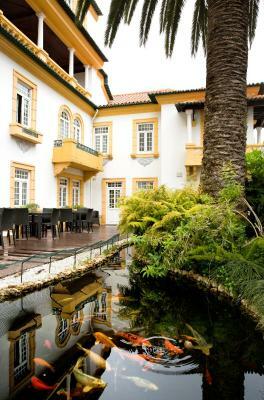 And the hotel was the only thing I liked about Aveiro (the city itself is a comlete disappointment). Very clean, near the railway station, nice staff. My favourite thing were the big windows and a small balcony. I was not thrilled by the design of the bathtub in my room which I thought was too slippery for lack of a flat bottom. Otherwise, difficult to find fault with anything. Located in a quiet street close to the train/bus station, and a short stroll from the downtown attractions. Cheerful and service-minded staff. Impeccably clean. Great breakfast with many options and good french-style breakfast coffee. Overall excellent value for money. where to go immediately nearby to get good food. Room Safe broken, door lock temperamental, garage v tricky to park car. Comfortable, good location, friendly staff and v clean. A bit flat for the money. Lousy coffee at breakfast, cappuchino is horrible. Conveniently close to the train station, just a 10 minute walk fron the city center. Nice small personal hotel, no major chain, so a nice personal touch. Good breakfast. The bed was the least comfortable bed I’ve ever stayed on and the facilities were overall not up to par. We had to ask for the bar to be opened when we wanted a drink and the elevator was broken, leaving us many steps to climb with heavy luggage.